We’re all about creating benefits for you, with Digital Stamps we’re helping you increase response rates, drive business (online or offline) and build loyalty. This new digital technology and innovation is exactly what we look for in order to continue to blaze new trails for our customers. You can’t argue with those, so get in touch to see how we can use Digital Stamps to Supercharge your direct marketing. Contact us to find out more. Q : Does it cost more than my normal postage? A : No, in actual fact it’s a lot more cost effective than using a normal stamp and can, in some instances achieve some very large postage discounts. Q : What Services Can It be Used For? 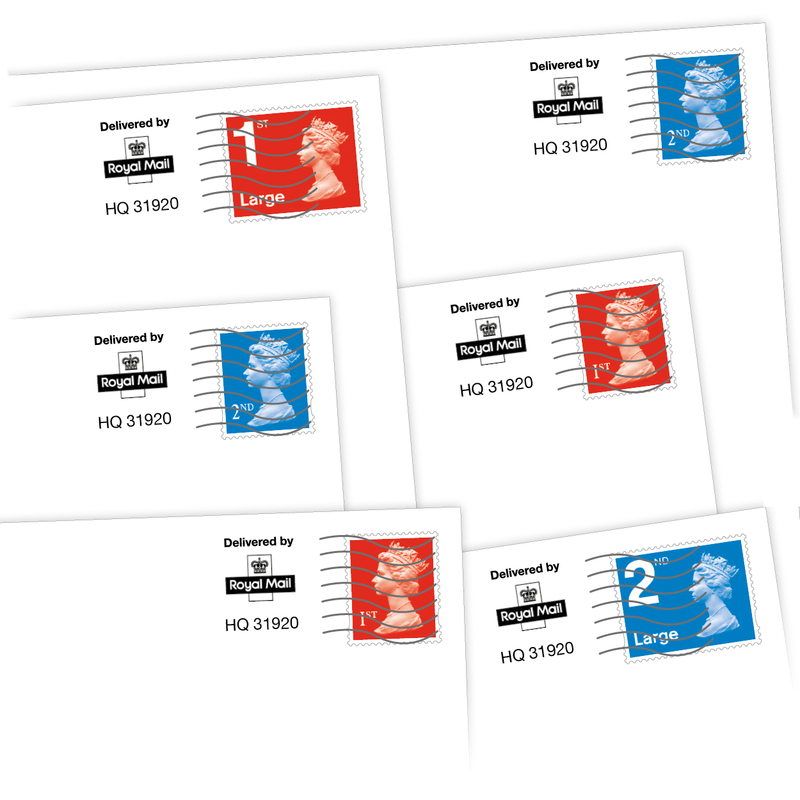 A : You can use Digital Stamps on all Royal Mail Second Class services and formats that can be Mailmarked. Q : What does it look like? A : We’ve worked hard with the Royal Mail to meet with their simple requirement – make it look as much like a stamp as we can. Here’s a sample…. Q : Are there different stamps? A : There is a small range of stamps, the Royal Mail even have limited edition ones like the ones you can get with real stamps.